A couple of months ago we performed an internet search for the first editions of the first twenty Caldecott Medal books to determine the number of books currently being offered for sale, and similar to past searches, calculate the average selling price. This past week we performed a search for first edition Caldecott Medal books for the period 1960-to-1979, the second twenty. The searches were performed across multiple book sites, ABE, ABAA, and Bookfinder, and were filtered for first edition books with dust jackets, in VG- condition or better. We excluded ex-library editions, first editions without dust jackets, and dust jackets in poor condition. For the results of this survey please see the table below. 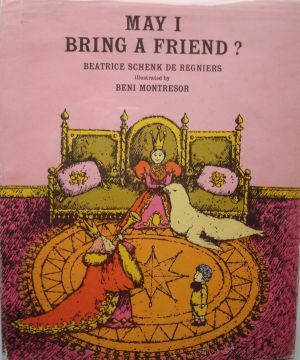 For the years 1960-to-1979 we found fifty-one first edition books currently for sale, with ten copies of Maurice Sendak’s Where The Wild Things Are being offered, which greatly skewed the average asking price. With WTWTA included, the 51 books have an average asking price of $4,523. With WTWTA excluded the 41 books had a more modest average asking price of $353. In our survey the asking price was not adjusted to the condition of the book being offered, so use the average price judiciously, since the book and jacket’s condition has a major impact on valuation. First editions for five of the twenty Caldecott Medal winners are not currently being offered for sale on the internet. Understandably it would be a seller’s market for pricing any of these in first edition issue with dust jacket. As was expected due to their scarcity Ezra Jack Keats’s The Snowy Day (1963) is not available nor Gail E. Haley’s A Story, A Story (1971). First editions in dust jacket for either book do not surface for sale very often. In addition to the two above, three other books surprisingly are not currently offered; Nonny Hogrogian’s Always Room For One More (1966) Ed Emberley’s Drummer Hoff (1968), and Gerald McDermott’s Arrow To The Sun (1975). I don’t think the three books are scarce in first edition issue – time will tell – however I did elevate their Scarcity index to ‘8’ in the following table. Obviously, should a single copy surface, the offering price will represent a seller’s market with no competing comparables. Only one first edition copy of four other Caldecott Medal books were found. There is only one first edition copy of Nicolas Sidjakov’s Baboushka And The Three Kings (1961), William Steig’s Sylvestor And The Magic Pebble (1970), Hogrogian’s One Fine Day (1972), and Paul Goble’s The Girl Who Loved Wild Horses (1979). The offering price for One Fine Day is priced a bit low at $150; based on past experience, I don't think the book is too scarce. Nor do I think The Girl Who Loved Wild Horses is too scarce, and think the $413 being asked is a fair price. Baboushka And The Three Kings is somewhat difficult to find, priced reasonably at $880, however I think the demand for the book is fairly modest relative to other Caldecott Medal books. By default I place a Collectibility Index of '7' on first edition Caldecott Medal books, then adjust for other factors, such as illustrator's or author's eminence, copies sold, and so forth (see Factors Affecting The Value Of Children's Books). William Steig's Sylvester And The Magic Pebble is a tough get in first edition issue. The book is larger than one would expect, and beautiful to behold. Coupled with Steig's success as a cartoonist for the New Yorker, producing some 2,600 illustrations and over 110 covers for the magazine, and his creation of Shrek, which formed the basis for the Dreamworks movie series, the book is modestly priced at $500. I don't think this copy will be on the market very long. With the exception of Where The Wild Things Are (see below), the first edition books currently on the market are moderately priced. A lot of the top tier children's booksellers have been in the business for decades, and I think the age of these books has snuck up on them, and by their influence the rest of industry. Decades ago, these books weren't old. Today, three of the books were published over fifty years ago. Over half of them were published over forty years ago. All the books in the survey are over thirty years old. 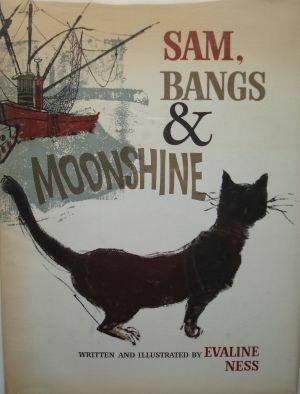 Fifty, forty, and thirty years are by no means considered 'old' or antiquarian in the general book collecting market, but fifty, forty, and thirty years old IS old in terms of contemporary American picturebooks. I've been collecting children's picturebooks for over two decades. 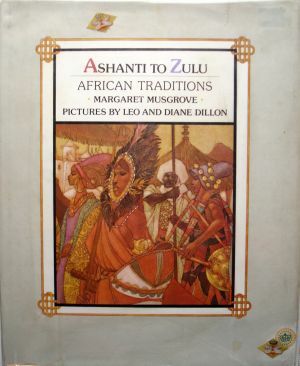 Even now, I'm surprised the back-to-back Dillon winners Why Mosquitoes Buzz In People's Ears and Ashanti To Zulu are over thirty-five years old. It seems like only yesterday the two books were relatively new, published fifteen years past, and available with relative abundance. Not so it seems, today. Obviously the demand for first edition Caldecott Medal winners have increased over the last decade, and copies have been absorbed into libraries and collections. Still, I was very surprised to see only forty-one copies of the books for sale, excluding Where The Wild Things Are. By and large the relative lack of copies on the market makes for a seller's market, with the bookseller having pricing power. There are 10 copies of the 1964 Caldecott Medal winner Where The Wild Things Are on the market, the highest quantity for sale for the books surveyed. The asking price averages over $21,000, and ranges from $35,000 to $12,500. The high prices are indicative of the high desirability/collectible of the book coupled with its relative scarcity. In my database of over 24,000 children's book titles, I give only two books a Collectibility Index of '10'; Cat In The Hat and Where The Wild Things Are. Even Curious George and Goodnight, Moon only garner a '9'. As mentioned before, the collectability and scarcity of the 23,000 titles in my database have each been rated on a 1-to-10 scale (10 being most collectible and 10 being most scarce). These ratings are included in the table with the survey results.